The Hut34 Project is built to power the global knowledge economy. It create a shared global superintelligence. An open distributed interbot network where data, information, and services can be exchanged and monetised fairly by all. What is important, frictionless on-boarding and quick start with the Hut34 Platform lowers the barrier to entry and encourages wide adoption of the Hut34 Network. The Hut34 Network is designed to provide utility to end users, domain experts, bot and service builders, and IOT data providers, while also providing a valuable resource for businesses and marketers. 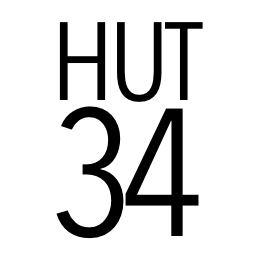 In a word, Hut34 project aims to build and provide the technological and economic infrastructure to power the growth of the open global knowledge economy and with its objective building an ecosystem. ICO Description: Hut34 Project is building an open system that every participant has access to the collected data, information, knowledge, services and processing power of the entire network. And this encourages participation from end users, whilst incentivising and fairly rewarding developers and producers for their contributions and efforts.